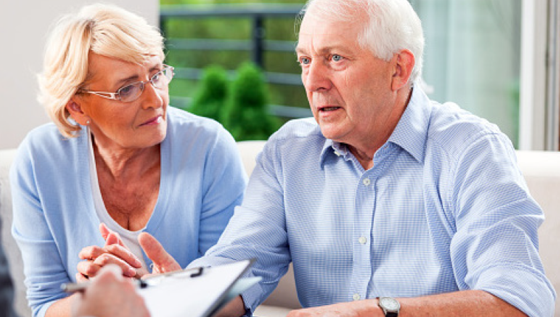 Are you an older adult in need of legal assistance? UF Health Senior Medical-Legal Partnership may be able to help. While good medical care goes a long way towards health and well-being, there are social, environmental and economic factors that can be just as important to health outcomes. Recognizing this, a Medical-Legal Partnership is a holistic model of care that teams health care providers with free legal assistance to solve legal problems that may be impeding your recovery. The UF Health Senior Medical-Legal Partnership is a project of Three Rivers Legal Services, Inc., in partnership with UF Health to provide confidential free legal assistance to low-income senior patients. Three Rivers Legal Services is a non-profit law firm dedicated to providing quality free civil legal aid to the poor, abused, disabled and elderly. As a patient of UF Health, ask your social worker, nurse or doctor for an SMLP referral. If you qualify, they will assist you in completing a referral form so that you may speak confidentially with an SMLP attorney or a paralegal. An attorney or paralegal will call or meet with you to get more detailed information on legal issues and determine whether or not we can assist you. Participation in this program does not affect your ongoing health care services and the SMLP attorneys who assist will not charge for their services. Please contact Patient and Family Resources at 352.265.0224.